"Even our Prime Minister isn't very much of a politician. I know some great Pierre Trudeau stories. I heard that when he was elected to office, when he went to the house where he lives in Ottawa that he pulled up in a sports car with a girl... (laughs, then crowd laughs)... that's a true story (more laughter). It's not very political, is it? (laughter) I also heard that he canoed to Cuba but that sounds a little far-fetched (laughter) I think that's kind of the super Pierre Trudeau story. My song's called The Fiddle and The Drum and it goes like this..."
I get chills every time I hear this track! 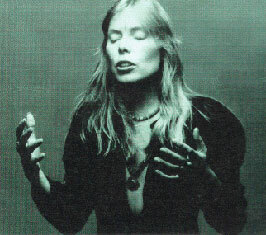 Just Joni's voice, it does not need anything else. This song has haunted me for so many years. I'm finally going to be able to sing it live on 9-27-10 for our new, local independent radio station (WDRT) benefit party here in Viroqua, Wisconsin. This song, recorded in 1969 is just as relevant today as it was then. In a way that's sad, but in any case, it possesses such a stunning, brilliant melody. Even after all these years, by the end I am teary. Thank you, Joni. Thank you for all the catharsis. You are a healer in every sense of the word. I am from Israel, and unfortunatly this song is very relevent to the situation my country is in. Wish we will all find a way to trade the fist for the hanshake again. 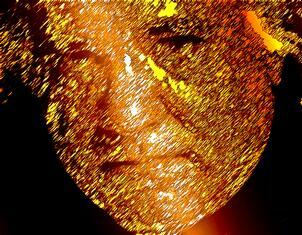 Joni, please don't "get out of the music business"
youre voice and song speak loud for morgellons sufferers. Most of all they comfort us. we would miss listening and anxiously waiting for something new.